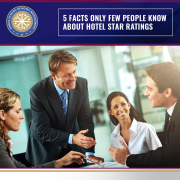 Over 70% of the factors that determine a hotel’s rating are related to quality in customer service. Surprisingly, most people believe that it’s the property that matters more to a rating, but for the hospitality industry, customer service is what comes first always. 5-star hotels are typically associated with luxury and rightly so. But what is surprising is that one of the biggest indicators of luxury is the number of bathroom fixtures. 5-star hotels must have at least 5 bathroom fixtures, generally including two sinks, a bath, a standalone shower, and a toilet. Many hotels even add bidets and climate control to go the extra distance in building glamorous bathrooms! Not many people know of this, but a newspaper can make or break hotel rating aspirations. While 3-star hotels need to at least have a reading stand with newspapers for guests to read, 4-star hotels must deliver a daily newspaper to all guest rooms. But to be able to get to a 5-star rating, hotels must offer a minimum of two choices of international newspapers and one local newspaper to each guest. This is one of those really lofty standards, but 5-star hotels are mandated to have a swimming pool equipped with poolside service on their premises. The poolside service must also provide complimentary refreshments to guests for every 90 minutes spent at the pool. So if a guest spends three hours at the pool, failing to offer refreshments twice could jeopardize hotel ratings. 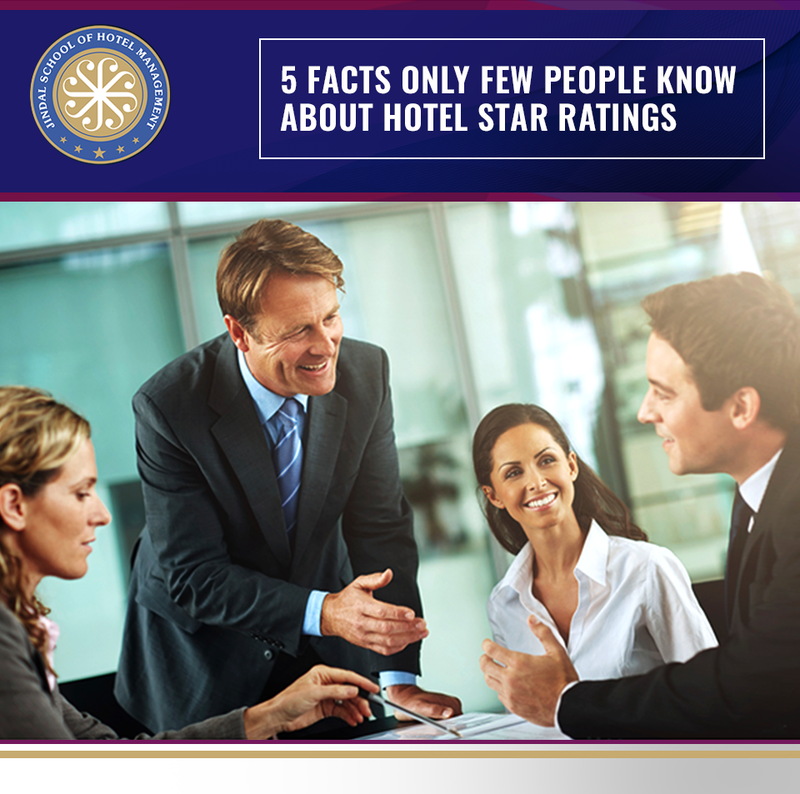 While most guests who stay at 4 and above star hotels tend not to notice most of the intricacies of hotel ratings, hotels work tirelessly to exceed the high benchmarks set for them. At Jindal School of Hotel Management, we groom aspiring hospitality professionals to understand the customer service values that define the hospitality industry and imbue these values in them to create industry leaders. A practical teaching pedagogy and world-class facilities mean that our students learn the practical aspects of working in a hotel and are ‘customer service’ ready from day one.